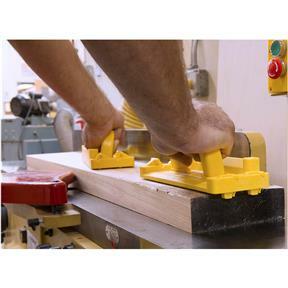 This is one smart push block! 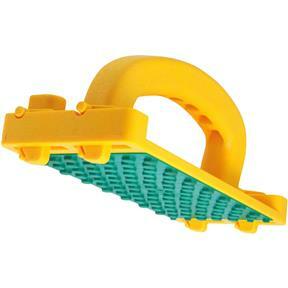 The GRR-RIP Block features auto-retracting heel technology that hooks to the tail end of your board. 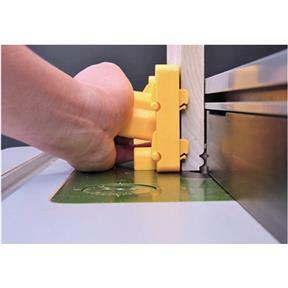 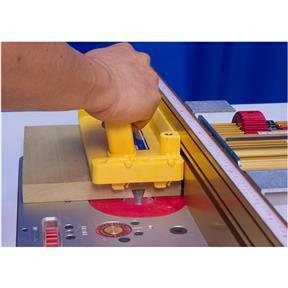 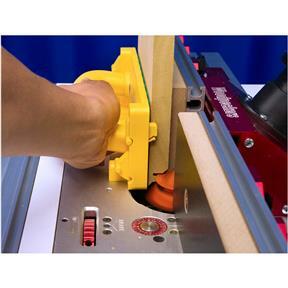 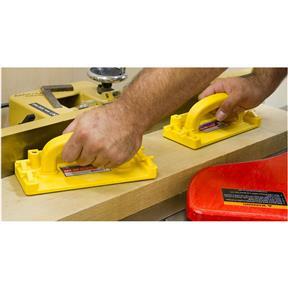 The proprietary Green GRR-RIP provides an unparalleled extreme hold on your work piece and the 90° flipguide provides for vertical footing on bandsaws and router tables. The ergonomic handle exerts directional pressure against the fence, so it stays right where you need it to. 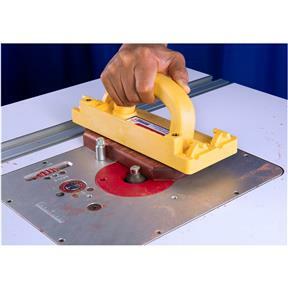 Optional mounts are available for a deflector/connector shield plate (T28207) for additional protection against chip debris.